The Easiest (& Most Beautiful) Moodboard Maker You've Ever Seen. This is a paid advertorial with Corian® Design. Have you ever thought about the story behind a well-styled space? I'm talking about the reasons behind the choices. Why one might choose a certain texture, material or color? 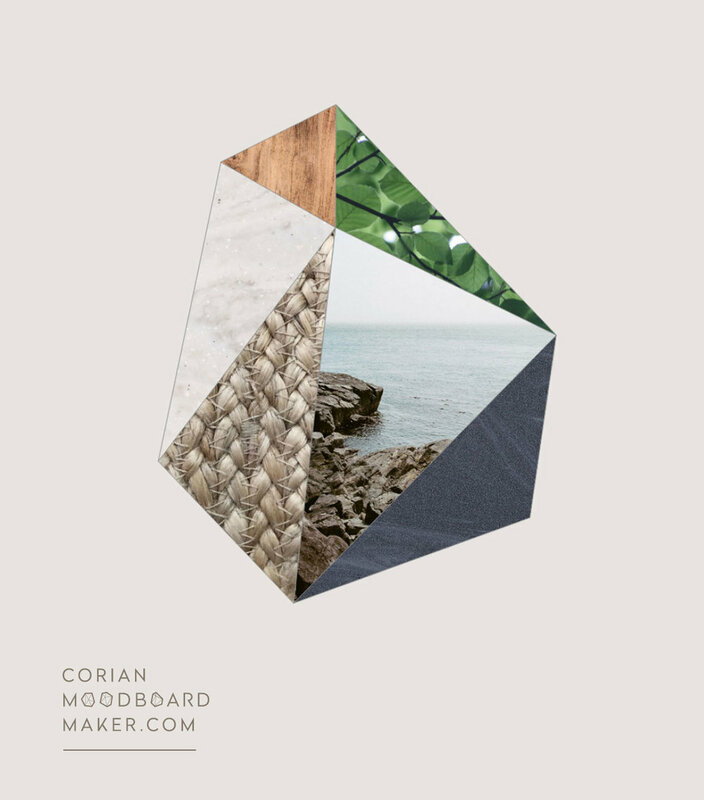 These are just hypothetical questions, but after I used the new Moodboard Maker from Corian® Design, I started to re-think the roots of one of my own spaces. 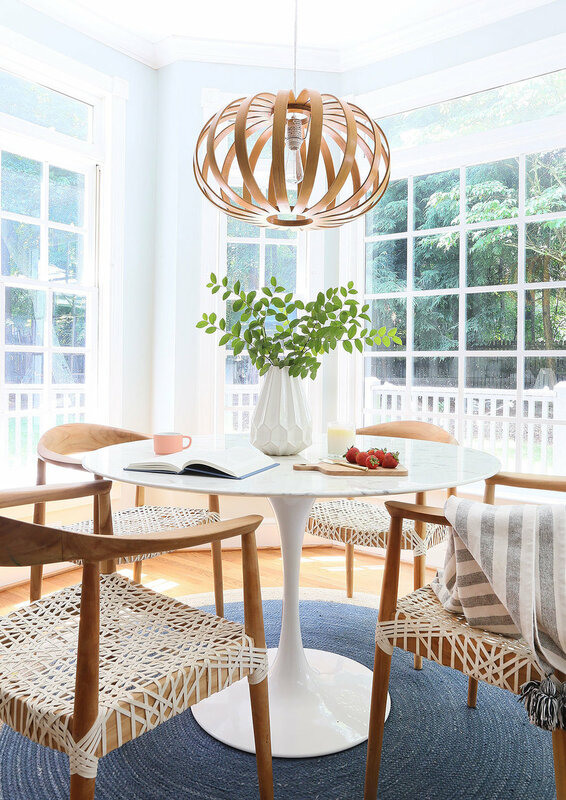 Our breakfast nook is one of the most used spaces in our home. We eat all our meals there, have morning coffee, occasionally work and my kids love to spread their crafts and legos out on the table and go to town. It's the definition of a multi-functional, family space. I wanted to think beyond the functionality of it (even though that is very important) and get to the concept and vision behind what inspired my design choices. This is where the Moodboard Maker comes in. It's a handy little tool that helps you decide a style direction and gives you a myriad of inspirational images to choose from to create your own unique mosaic shape that doubles as an inspiration board. To start, they have 7 different styles ranging from modern, refined, minimal and organic to name a few. You select the style that represents you most and go from there to create your own design. In addition to their selection of imagery, you can also be as creative as you want and upload your own content. I had a tough time choosing one style because there were multiple choices that appealed to me. But in the end, I chose the relaxed style as I'm drawn to a casual, lived-in feel. I have young kids, a husband that loves to cook and a rambunctious dog so there is nothing fussy or fancy about our home. Simple is best in my book. I combined some of their pre-loaded imagery, including some the gorgeous Corian swatches as well as textures from my own space and imagery that inspires me to create my design. I featured Corian® Solid Surface in Limestone Prima in my moodboard because of the light, bright colors, and delicate swirls. I've always been drawn to nature for inspiration when it comes to home styling. There is something so beautiful about an organic element like wood or seagrass inside a home. They add a casual and relaxed feel that softens up a space and makes it feel comfortable and happy. And one of my favorite places to take inspiration from is the beach. I got married there and my husband and I dream of owning our very own beach property one day. It made sense that my mood board would have that laid-back, beachy vibe. Nothing too kitschy like seashells everywhere or a Margaritaville explosion (although I do love a margarita!) but simple, breezy with a nod to coastal style. I had so much fun playing around with this awesome tool and I loved how my unique mosaic turned out. It was very easy to use and really opened up the way I thought about decorating my home, taking me back to the roots of why I made the decisions I made in the first place. My unique inspiration board serves a collection of shapes, textures, patterns and materials that tell my space's story, not to mention the end result is a really cool piece of art that I plan to frame and hang in the space. Such a fun and personal story to tell!